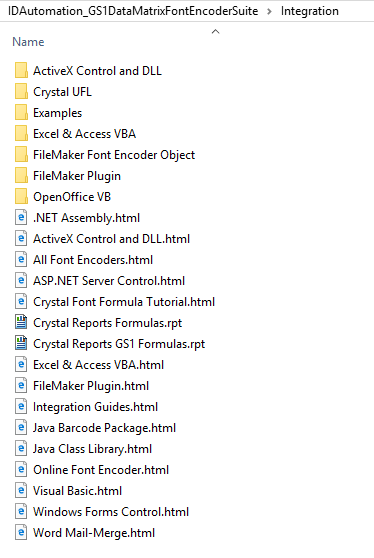 I have purchased the Data Matrix Font Package and need to generate barcodes in Crystal Reports. 1. Purchase the Data Matrix Font Package. 3. Navigate to the Integration folder of the Data Matrix Font Package. 4. Open the Crystal Reports Formulas.rpt or Crystal Reports GS1 Formula.rpt file. 5. The report includes the Native Font Formulas object on the left (and in some versions of the product, the UFL object on the right). 6. 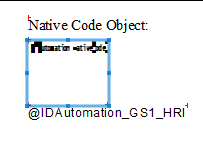 Right-click the Native Code Object and select Copy. 7. 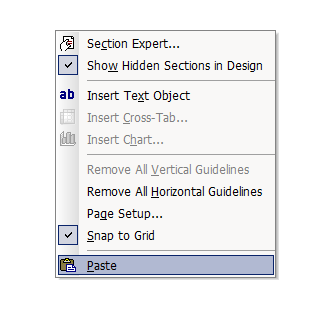 Open your own Crystal Reports project, right-click, and choose paste. 8. Right-click the barcode object, and select Formula Editor. 9. Edit the DataToEncode to the data or field to turn into the barcode. 10. Select Save and Close. 11. 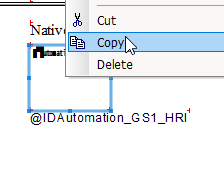 Apply the IDAutomationDMatrix or IDAutomation2D font from the font list.